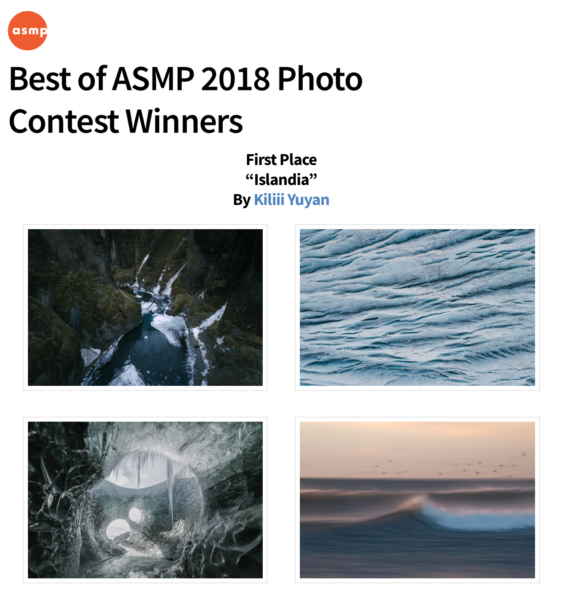 Excited to announce that my series Îslandia has won Best Series in ASMP’s Photo Contest. It’s an honor for these to get past the discerning eyes of the judges, including Gregory Heisler, who is a hero of mine. Congratulations – good things come to good people!! So happy for you Kiliii!